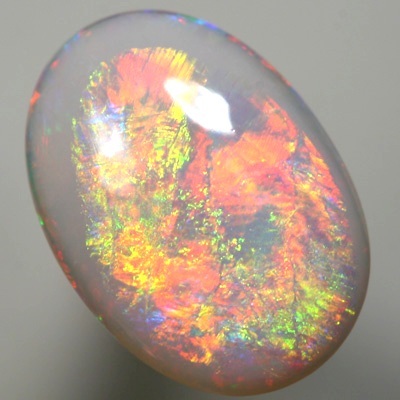 Orange and green colours glide relentlessly in a large Flame pattern as the opal is rotated. The 'flame' continually moves from orange to yellow green with a hint of cornflower blue. The opal has a lively colour play that moves brightly with the slightest movement.